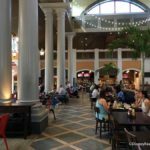 We just paid a visit to the recently updated El Mercado de Coronado at Disney World’s Coronado Springs Resort, and today we’ve got another look at more changes on the way! 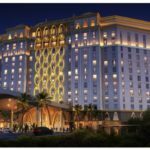 Disney has released new concept art — along with some additional details — for the 15-story tower currently in construction at the Resort. 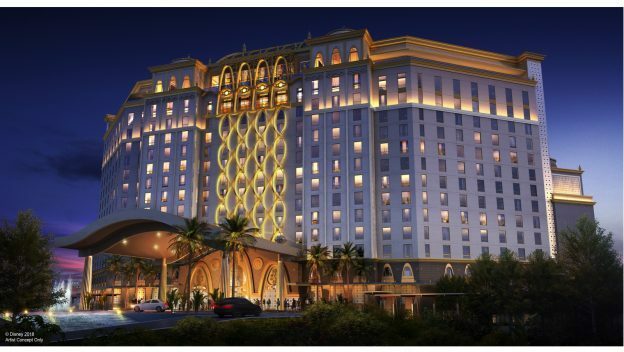 The tower will add 545 guest rooms including 50 suites to Coronado Springs Resort. 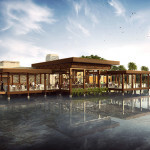 It will also serve as the new entry point for the Resort’s guests, and the picture below shows a rendering of the two-story lobby where check-in will take place. 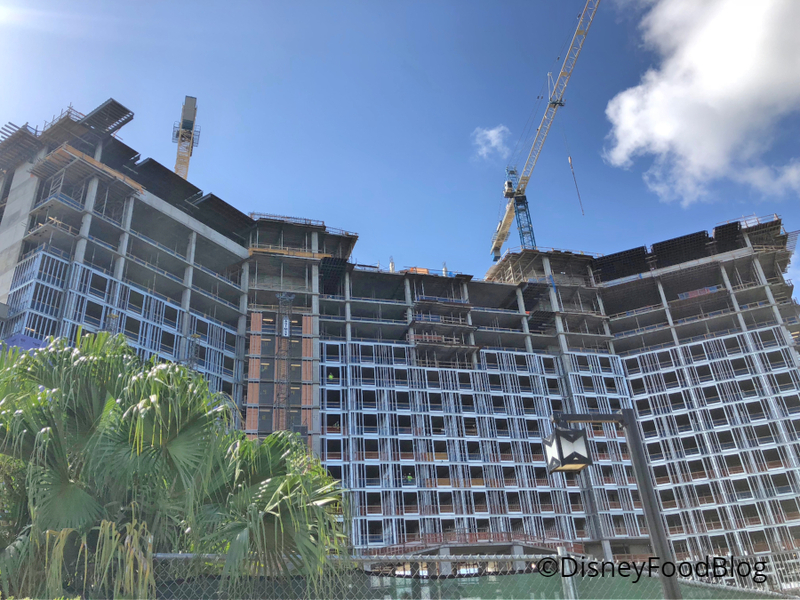 The summer of 2019 is when we can all look forward to the new Coronado Springs Resort! LOTS of changes are coming to Disney World! Find out more in our DFB YouTube Video! 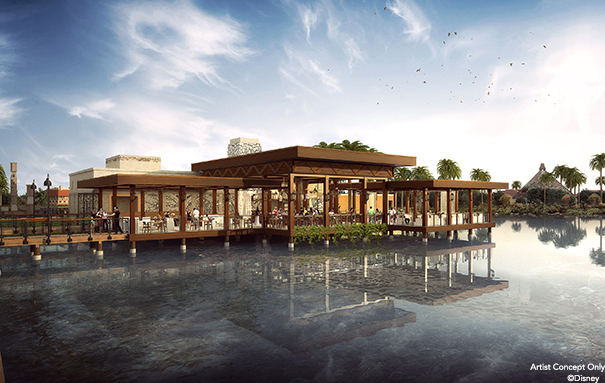 Will you plan on visiting the new Coronado Springs Resort? Please let us know with a comment! 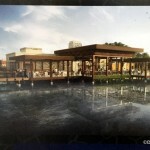 See Concept Art for Rooftop Dining Coming to Disney World’s Coronado Springs Resort! Unbelievable! Whenever I get back to WDW, it’s going to be like going for the first time again. There’s already so much I haven’t seen yet and so many new things ahead shown on your video, I’ll need to go for a month! I just returned a few days ago from Coronado Cabanas, in a recently (as in, new floor smell and they were still upgrading the rooms next door) refurbished room. 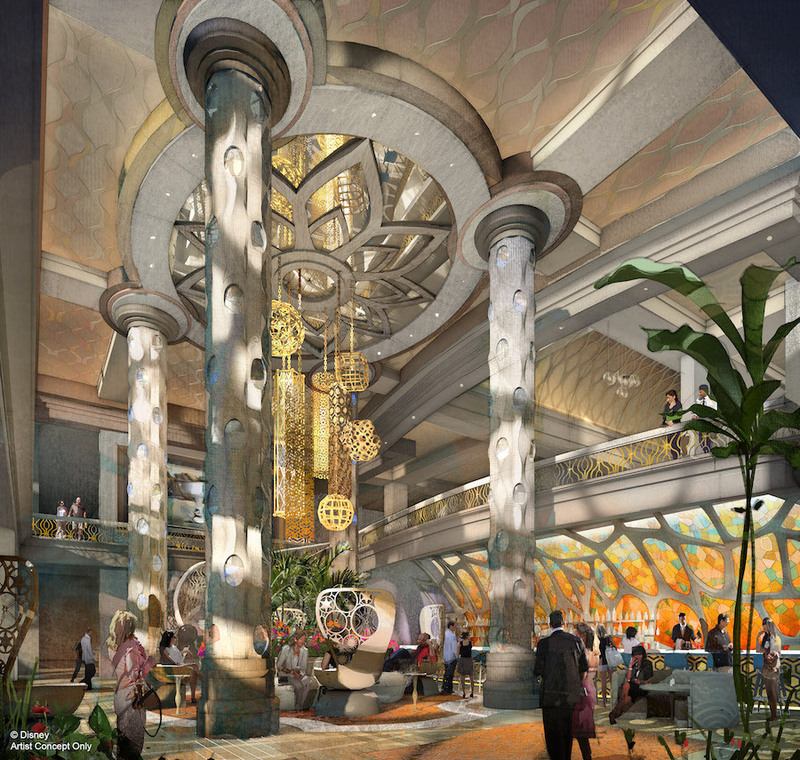 If this new style is the overall feel of the new tower… it is going to be exquisite! I’m looking forward to trying the rooftop restaurant when it opens, but the décor of the resort, comes off a bit vegas-y to me, no? Perhaps I’m in the minority thinking that. I was just at Coronado Springs last week. They actually left a card in our room apologizing for their ‘pixie dust’ from construction and gave us adorable Disney pins in a construction theme. Loved the rooms – so modern and spacious. The construction did not really affect our stay per se – aside from how cool the Dig Site looked and it stunk it was closed off. Also, a lot of litter in the lake, which was sad and I am hoping only due to construction. Aside from those points, the resort still was magical in its own way and enough activities to make up for the Dig Site closure. Very neat to see the vision on the blog! I think the hi-rise ruins the look and feel of old Mexico/southwest U.S. But I’m willing to wait until it’s finished and see! We are staying at Coronado in Jan. I cannot wait! Hopefully by then the Dig Site will be reopened.